Do you live in the Netherlands? Then we have several options including delivery by bicycle,pickup or regular mail. Do you live abroad? We send our parcels by dutch package mail (Postnl). If you order from Germany/Belgium/France/UK/Spain/Italy/Austria/Denmark you can do it directly on our site. For elsewhere, please contact us by mail – see below. Important notice in advance: to pick the order and before we starts sending it to you can take some time. Sometimes we send it on the same day you order but it can also take up to a couple days to start sending your package. If you order something we don’t have in stock (note: won’t happen often) it can take more than a week. You can always count on a personal message about your order status. Please do not order if you are in a big hurry. We are no Amazon.com and don’t have a big distribution centre. If you are in a hurry, send us an email first. Other countries – email us! If you order from Netherlands, Germany, Belgium, UK, France, Italy, Denmark, Austria and Spain you can do so on our website. If you want to order from elsewhere please email us first. 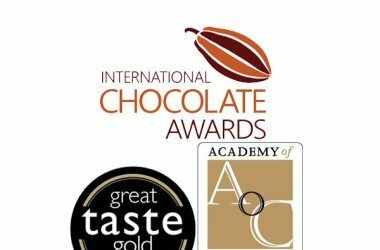 We gladly try to help you and accommodate your order – but for these orders we and sometimes we can give you advice about local chocolate shops. Je hebt het recht je bestelling tot 14 dagen na ontvangst zonder opgave van reden te annuleren. Je krijgt dan het volledige orderbedrag inclusief verzendkosten gecrediteerd binnen 14 dagen mits je de artikelen in goede staat retourneert. 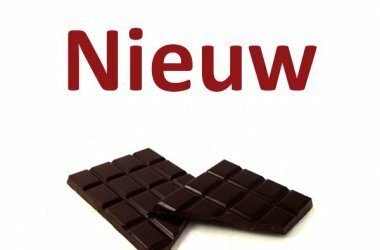 Enkel de kosten voor retour van jou thuis naar de webwinkel zijn voor eigen rekening. Indien je gebruik maakt van je herroepingsrecht, zal het product met alle geleverde toebehoren en – indien redelijkerwijze mogelijk – in de originele staat en verpakking aan ons geretourneerd worden binnen 14 dagen na aanmelding van het retour. 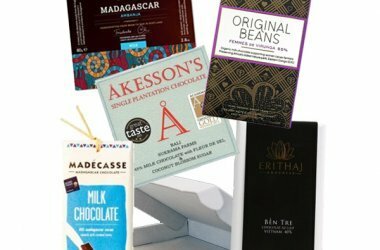 Om gebruik te maken van dit recht kun je contact met ons opnemen via info@chocoladeverkopers. Wij zullen vervolgens het verschuldigde orderbedrag binnen 14 dagen na aanmelding van je retour terugstorten. Voor de duidelijkheid: dit is puur het herroepingsrecht. Je kunt de bestelling herroepen zoals hierboven omschreven. Dit gaat dus bijvoorbeeld niet om repen waarvan je al gegeten hebt. A couple questions we answer in advance? Why no free delivery when i order more than x? It’s quite simple: sending packages isn’t free. That’s just the way it is. Yes, we could make every bar a tiny bit more expensive, and pretend like we don’t charge you for shiopping that we – which is the custom way to go for most webshops nowadays. We prefer keeping the costs clear and simple. If you come to our store it will cost you either gasoline or effort for your muscles. If we send the package it will cost us a box, stamps and time. Do you send chocolate to my country? Probably yes. If you live in the Netherlands, Germany of Belgium you can just order here. For Belgium & Germany shipping is 5,95 euro. If you live elsewhere in Europe we are also able to help you. We already send packages to among others Romania, Portugal etc. If you want to order please contact us by email so we can tell you more, calculate shipping, etc. Even if you live outside of Europe we might be able to help but we prefer directing you to a (web)shop a bit nearer to you – also because shipping outside Europe is quite expensive which means small(ish) orders are not really worth it if you live outside EU. For all orders outside of NL/Germany/Belgium we must ask for advance payment. Do you guarantee the chocolate will reach me all in one piece? Most definately not! Chocolate is VERY FRAGILE. We do always pack the chocolates with the utmost care. A cardboard box with filling material. This is the best way to send chocolate and most of the time the chocolate will reach you in perfect condition. However, we have learned that now and then in the shipping process the package will be handled quite roughly, or just plainly dropped from 1.5 meters. The consequence: broken bars. It won’t taste any less, but it might be good to know – this can happen.